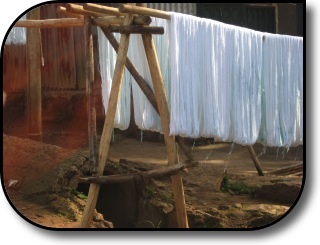 We also saw dyed cotton of many colors hanging out to dry, but did not get a picture of that. 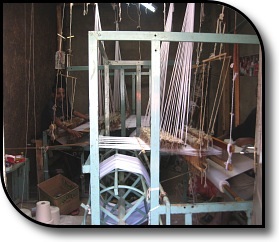 The looms that are used vary considerably, some being more comfortable to work at than others. Most made us think about how Americans would complain about leg cramps, or back aches after just fifteen minutes of being in an awkward position with this tedious, intricate work. 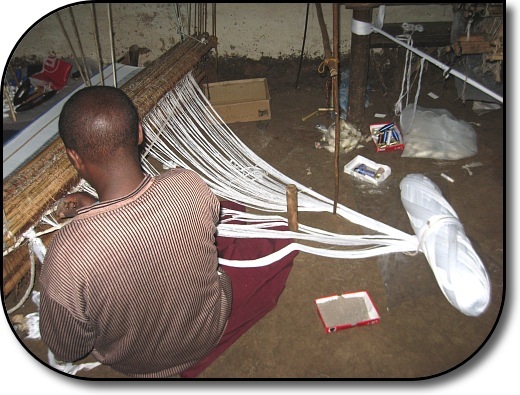 This was the simplest loom that we saw. 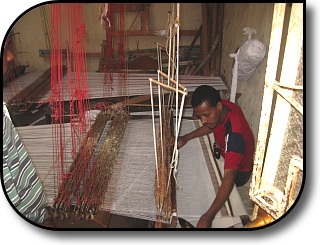 Most of the others had threads secured at both ends, with the weavers still sitting on the floor to weave. 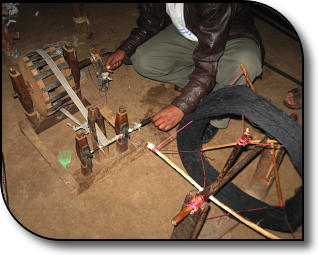 There were some looms that looked almost modern factory-like looms, but they are still located in very primitive facilities and are not automated with electricity or motors. 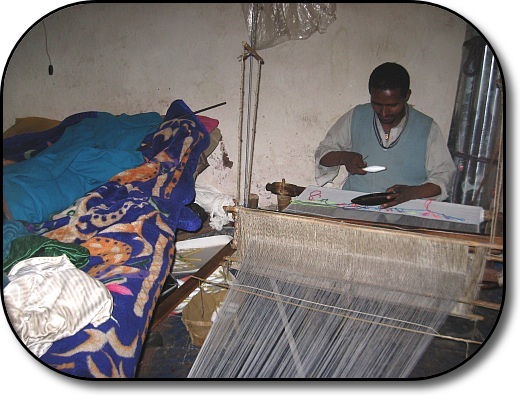 As we toured and met the different weavers, one of the Ethiopian Jews stated that one of the reasons that they wanted to start this site was to give better working conditions to the weavers. I hope that these pictures have shown you why he would say that.